One of the most essential aspects of your home is its security. Luckily, nowadays you have an array of options to improve the security of your home, including advanced alarm systems, electric fences, video cameras, etc. In addition, you can install an automatic gate to further increase your home’s safety while gaining certain added benefits. 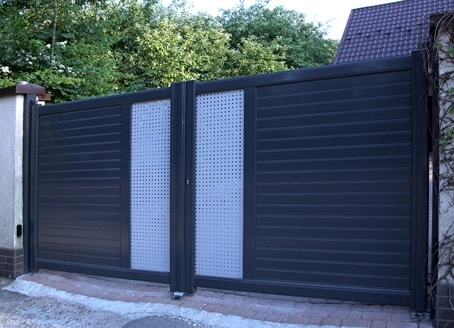 These gates offer a lot of benefits, from access control to convenience to the utmost security. The effortlessness of operating electric gates makes it a popular choice over manual ones. However, the best electric gate operator in Miami and other parts of the country, ensure a smooth running of security gates for the long-term. Electronic gate operators are devices which make a gate work automatically and do not involve manual operations. An automatic gate opener makes the gate open and close when receiving an electric impulse created by a sensor device or remote control. The operator opens the gate by swinging back to the original place. The operator is connected to a gate opening arm which forces the gate to swing in a proper direction. The control box of the system is mounted near the gate hinge on the gate post. The control box gets the radio signals and instructs the operators to function accordingly. This controlling device works on batteries. One of the major benefits of an automatic gate is the absolute security it offers. Getting out of your vehicle to open the gate can be dangerous, specifically from a safety point of view. Many people get hijacked or attacked while opening their gates manually. While you cannot remove this possibility completely by installing an automatic gate, it will definitely lessen the threat. If your gate gets damaged due to a technical glitch or natural calamity, you can seek the assistance of experts providing services in sliding gate repair in Miami and other parts of the country. Automatic gates are well-equipped with excellent methods of access control. With an electric gate, you can set up to check how many times the gate has been opened during a day. In addition to this, there will be no forced entries or breakage as you will have the access control for each entry. For this, it becomes imperative to install the advanced electric gate operator in Miami and other parts of the country for a hassle-free access. Therefore, it is important to install an automatic gate at your house. What is the Need for Overhead Gate Repair?How can Garage Door Maintenance help you avoid stressful situations?